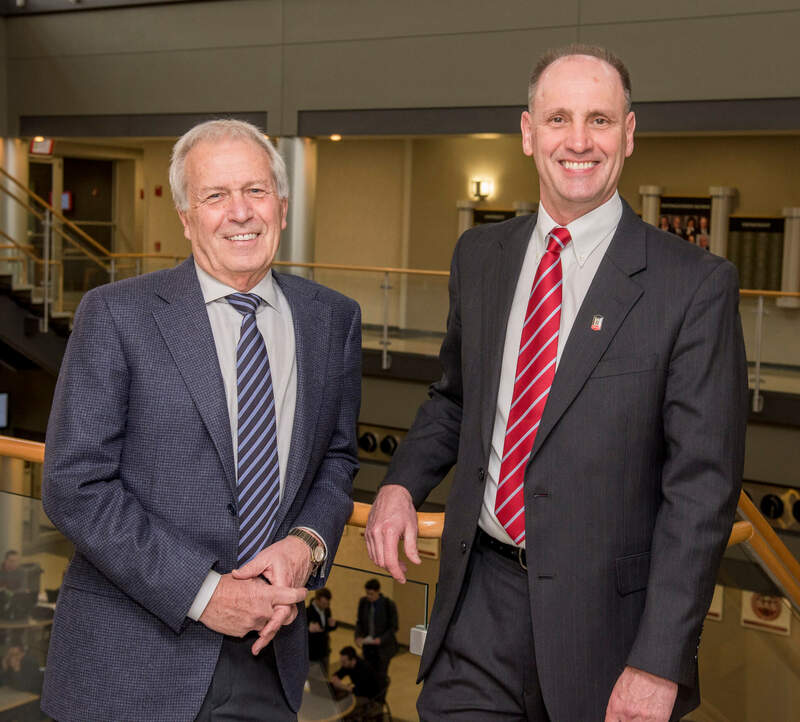 Northern Illinois University is pleased to announce a major gift from longtime supporter James Thompson to establish the James E. Thompson Professorship in Marketing. Thompson, a 1967 marketing alumnus, served as executive vice president and managing director of the Leo Burnett Company. NIU alumnus James Thompson (left) recently created the James E. Thompson Professorship in Marketing. With him is the first person to hold that position, long-time NIU Professor of Marketing Tim Aurand. Thompson’s gift will be used to establish a fund to help the NIU Department of Marketing recruit and retain excellent faculty. The professorship is used as salary enhancement and research support. The inaugural James E. Thompson Professor is Tim Aurand who serves as a professor of marketing. Aurand’s specialty is branding and the automotive industry. An award winning faculty member, he teaches both undergraduate and graduate courses in marketing. The NIU College of Business has 24 externally funded faculty positons.